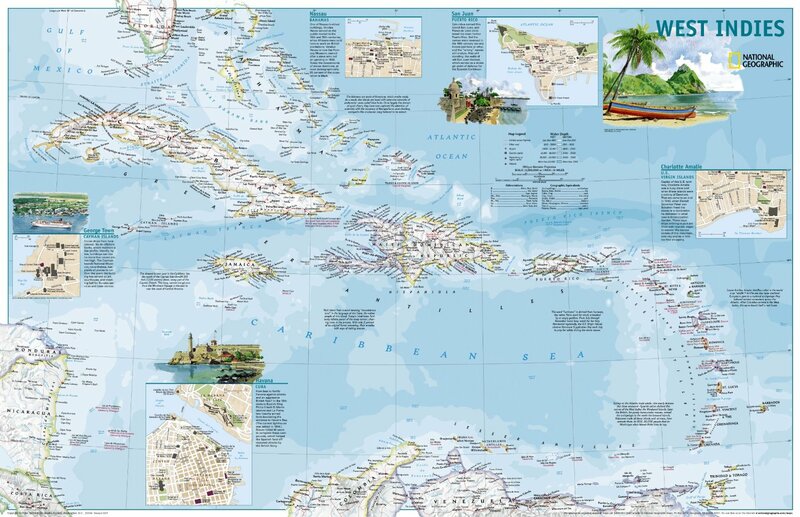 Taking you all through the Caribbean Islands beginning in Florida all the way to Venezuela, Costa Rica and Nicaragua- every island is covered in this two-sided full color map. Informative inserts add interest with many little known historical facts about the islands and their history. SIDE ONE features 20 island maps along with essential travel information on topics ranging from beaches to sailing alongside beautiful watercolors of island birds, flowers, and landscapes. 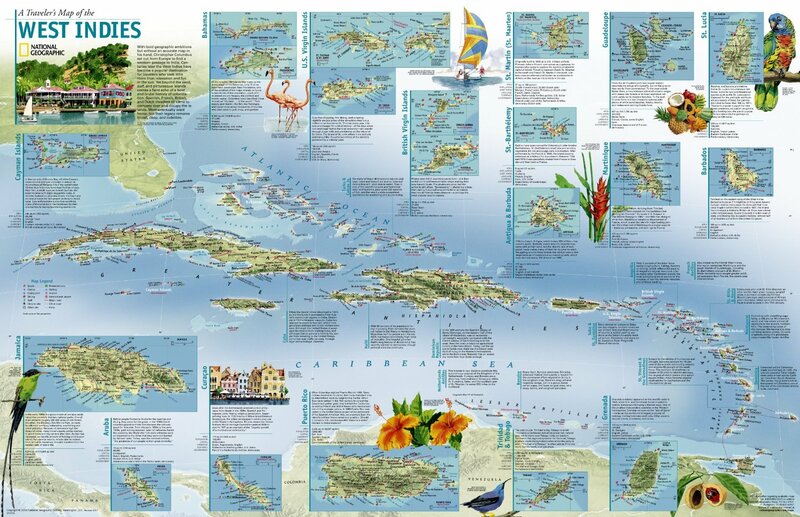 SIDE TWO is a political map that spans west to include all of Cuba and the entire chain of islands through Trinidad and Tobago. City insets and brief historical and tourist information for Nassau, Bahamas, San Juan, Puerto Rico, Charlotte Amalie, U.S. Virgin Islands, Havana, Cuba, and George Town, Cayman Islands make this a must-have for anyone visiting the region. Scale: 1:3,250,000. 36 x 23 inches (approx).